HOPAC has been back in school for one week now. It is amazing how fast it seems that it all gets back into the groove of things so easily. Austin has been quite busy with making sure that everything is up and running well for the teachers, but it is not easy here. Servers crash, computers get fried, people have lots of questions. However, he is doing well and having fun too. The week before school started, Austin gave a presentation about IT and all of the ins and outs of what he and the rest of the IT department have been up to over the summer. Austin giving his presentation. He even wore a tie. What a professional. Besides that teachers were bustling around making copies, putting up bulletin boards, placing name tags on desks and making sure that all was ready for the first week of school. 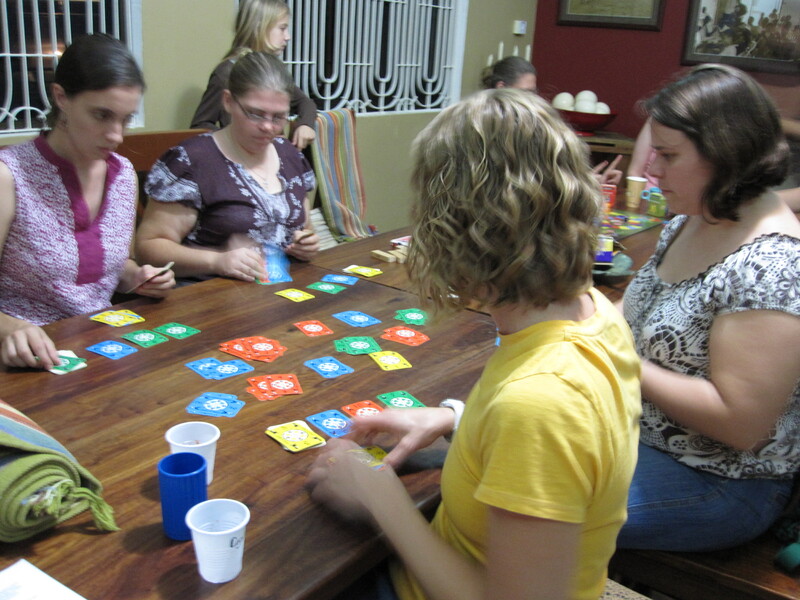 To kick off the first week for teachers, we decided to put together a teacher’s Game Night. First we all headed down to Verna’s Mexican, which is open once a week at Verna’s house. Verna is South African but she has the only Mexican restaurant around so it is a real treat. 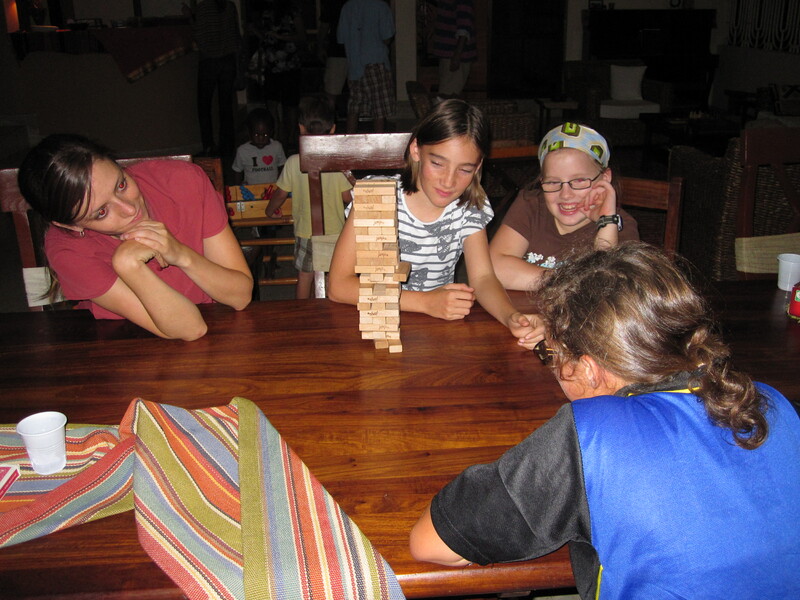 Then we headed back to the Larmey’s for game time. We had lots of fun and lots of teachers came, old and new. We played all sorts of games. Jenga. Rummikub. Connect Four. Twister. and much more. It was a great time for community, for new teachers to meet others, and for reconnecting with people we had not seen in awhile. Don't know the game, but they sure were having fun! Collecting the name tags after our large game of Who Am I? Everyone trying to figure out who they were. 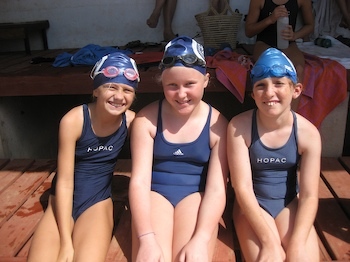 When we first arrived Austin had no clue what he was going to be doing for HOPAC. He came as a “part time” employee, and had no established role yet. On his application he had put that he had been a life guard, and played the saxophone and piano. To this the school offered him the choice of helping out at the pool teaching swim lessons, and giving clarinet lessons. Don’t know where the clarinet lessons came from but we thought it was amusing. 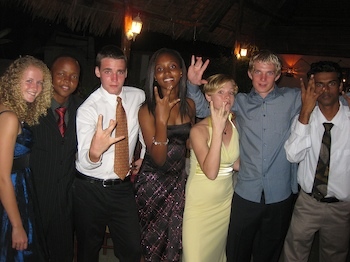 Anyways, once the school year was underway and I was busily teaching my cute fifth graders, Austin started by filling his time helping the little kids with their swim lessons, taking Kiswahili lessons, and helping with some various IT projects. Over time, being the dedicated and hard worker that he is, this was just not enough for him. He slowly started to to more and more with the IT department. Then one day, our friend Ron, who was the head of the IT stuff, sports coordinator and so much more, informed us that he got a job elsewhere. This then opened the door to Austin going from IT helper, to the official IT Department Manager (a title that did not really exist before Austin took it over). Being the business brain, and ideas man that he is, he decided to cast his own vision for HOPAC’s IT system. With this, in a matter of less than 9 months, he has now created an identity for the IT department, but more importantly revamped the entire network at HOPAC. However, he has not done this alone, there are two other guys, Victor and Oscar, who have been working at HOPAC and who have helped make some of Austin’s projects come to life. 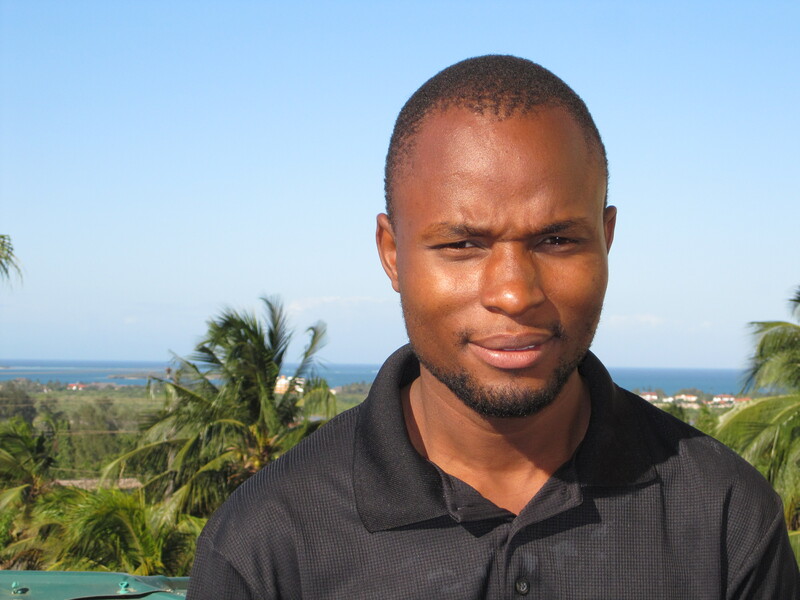 Victor has been working at the school as a part time consultant for a few years now. 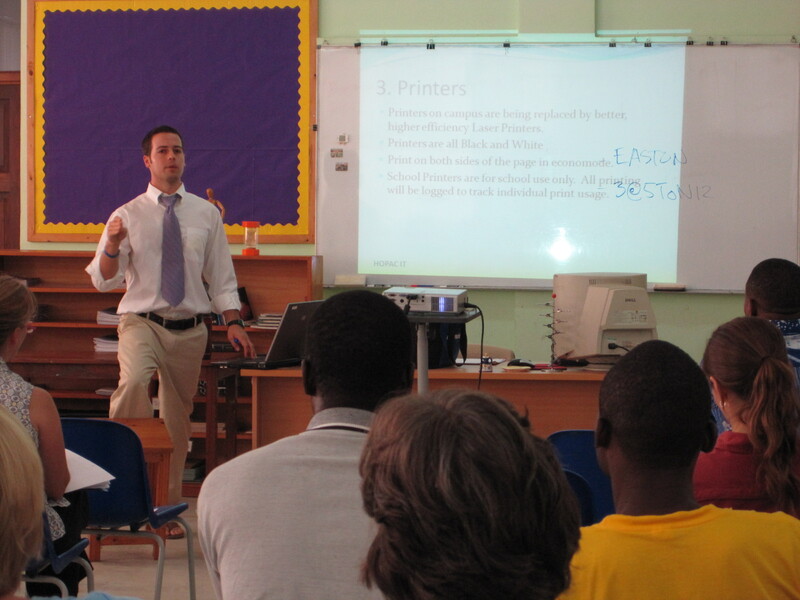 He has a lot of IT knowledge and is a great asset to the school and to Austin, as Austin has had no real IT training. 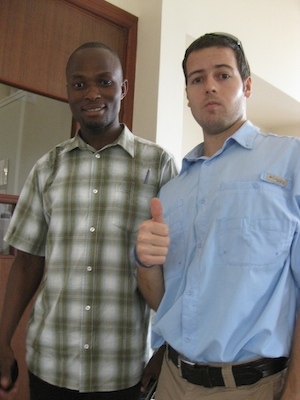 Victor, is married and just had his first baby in April, Victor Jr.
Oscar, has also been working for the school for a few years, as an all around IT guy. Fixing computers, printers, and thing that needs fixing and overseeing the computer lab. Oscar, is super sweet, and is set to get married in October. Very exciting! Over the course of this year together these boys have done so much to improve the school. From fixing printers, fax machines, and scanners, to replacing hard drives. From getting rid of nasty computer viruses that were shared around the whole school, to recreating the server. From backing up the back up’s back up drive, to rewiring the entire campus. From getting a new internet provider that has increased the internet speed here by at least 10x from when we first got here, to purchasing a new copier that has been so needed. From teaching teachers, and being patient with teachers, who are IT clueless, to putting in 12 hour days. 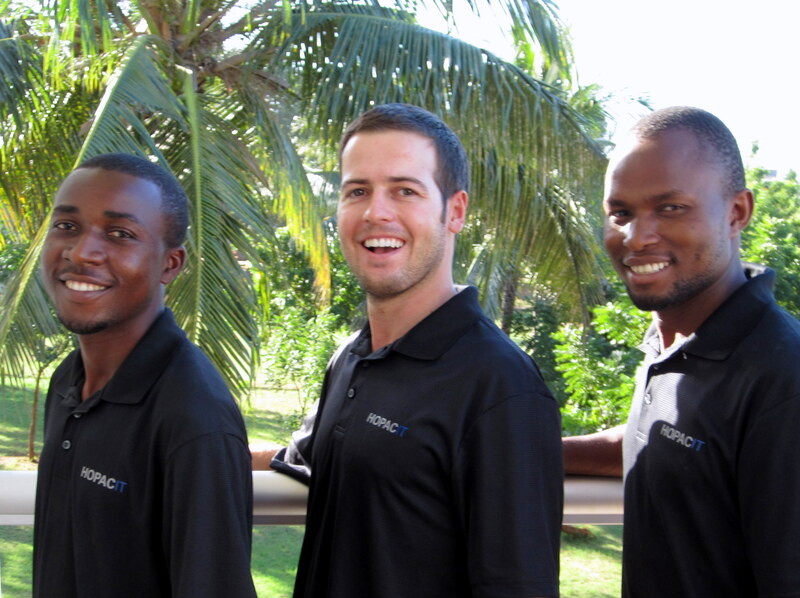 Austin, Victor and Oscar, have been dedicated to making sure that HOPAC is set up for success when it comes to technology. As much as I am grateful for what Oscar, and Victor have done, it is really Austin who is the force behind it all. I love how he is the person who had no job at first, but quickly turned into one of the most valuable positions on campus. He started with very little, and lots of mix matched pieces, and has worked to make every aspect of IT better at school. The truth is that this is just who the Lord created him to be, and I know that he is capable of doing this at whatever job he is working. 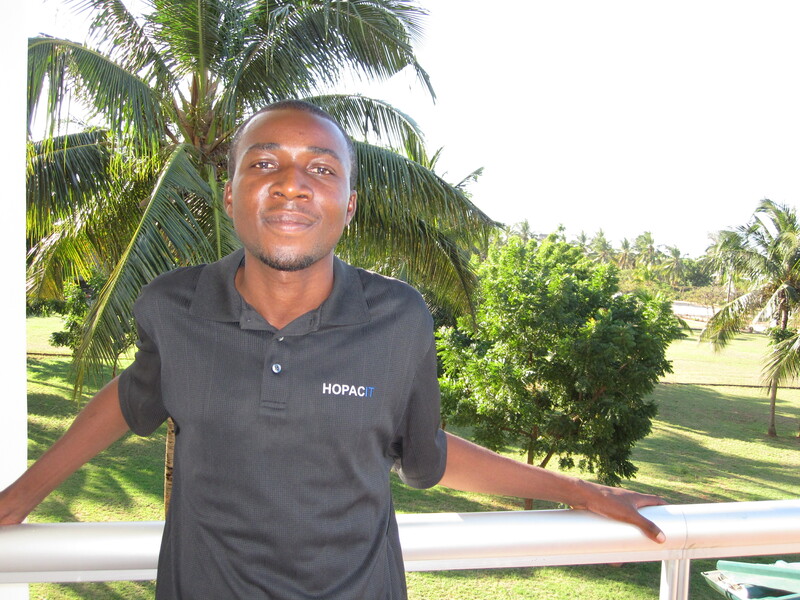 In my opinion, HOPAC has benefited so greatly from his hard work, and will continue to for years to come. 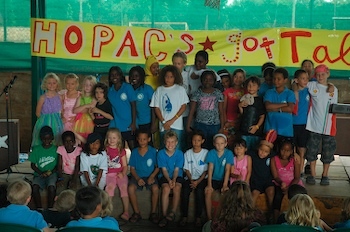 This year the HOPAC, class of 2010, was the second class to graduation from Kindergarten all the way until Grade 12. Of the class about half of them had been at HOPAC since Kindergarten, which is pretty amazing considering how mobile the missionary community is here. Austin and I attended the graduation dinner at Anghiti’s, a local Indian restaurant, where Austin was the MC for the event. 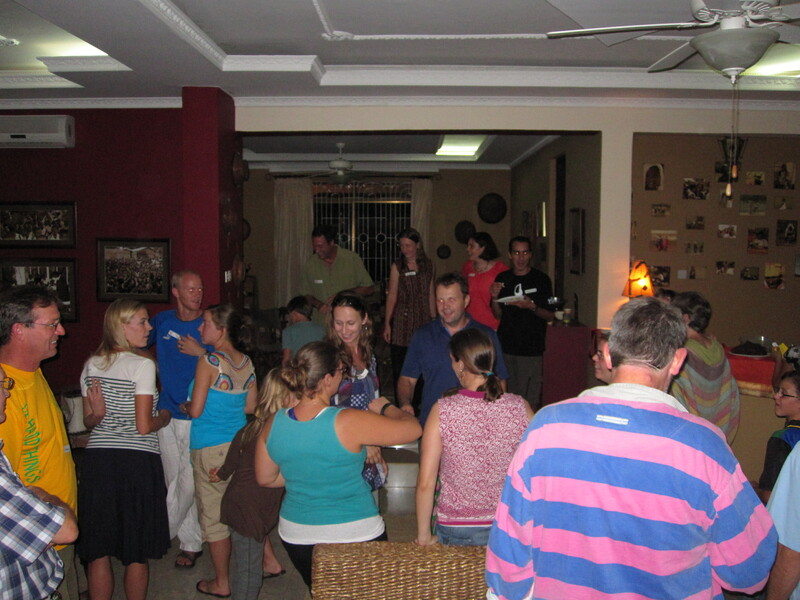 The students and parents all had a chance to say their thank you’s and goodbye’s to teacher’s who have loved them well. 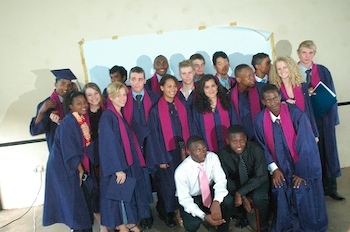 On graduation day, they were all so proud of their accomplishments and so were their family and friends. The ceremony was filled with speeches, and songs, and praise to the Lord for allowing these students to get to this point. It is amazing to see how many of them are heading off to great colleges around the world, and with full scholarship as well. The class of 20 students was awarded over 2.5 million dollars in scholarship money, one student has a full ride to Harvard. For having such a small class this is quite impressive. 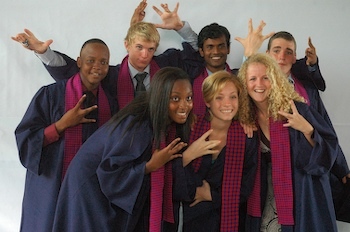 We are particularly proud of the Wyld Life leaders who we were able to work with for the past year. They are all such wonderful lights in the community and we pray that the Lord continues to grow them in their walk of faith as they move on to the next step of life. Congrats HOPAC Class of 2010! You did it! 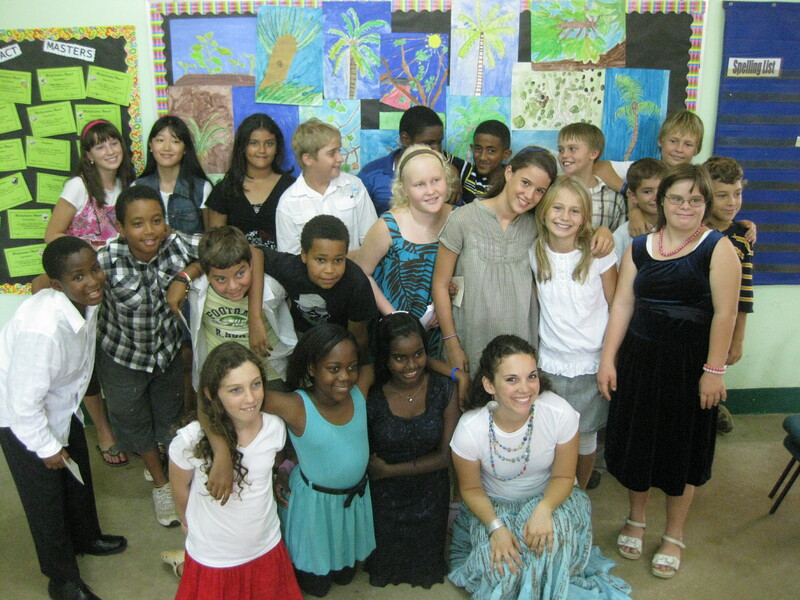 Since the beginning of the school year, I have been helping moderate the primary student council. I have loved doing this, as Student Council was one of the activities I loved most throughout middle and high school. Every year the student council is in charge of the end of the year talent show, which I was very excited to help facilitate. We held tryouts, in which each act had to be under 2 mins, and well prepared. My amazing student council leaders were ready to do the judging and did a great job organizing. A few of the student council members volunteered to be MC’s for the event and were very eager to be a part of the big show. They all wrote their own scripts to introduce each act, which were quite clever. After a few rehearsals, they were feeling ready for their moment to shine. On performance day, we made a big banner for the back drop and set up the stage so that it really looked more like a stage for performing. – A cute little girl singing the hit by Mary Chapin Carpenter Sing Sing a Song. 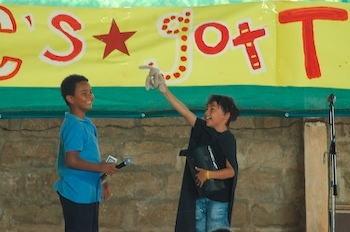 – Two boys doing magic tricks, Including pick a card and card, and pulling rabbits out of a hat. Magician’s hat, wand, and cape were present as well. – Two precious girls diva like singing to Hit Me Baby One More Time. 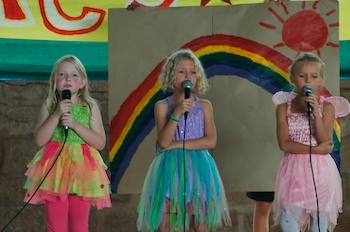 – Three sweet girls dressed like fairies standing under a painted rainbow singing somewhere over the rainbow. A crowd favorite. -Two of my fifth graders doing a comedy routine. 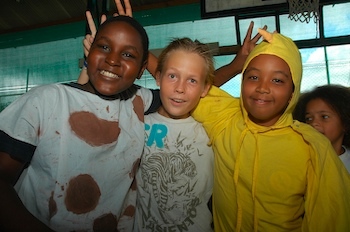 One dressed as a chicken and one as a cow. – A second grade boy singing to Wild Wild West who had great stage presence and charisma. – A fourth grader who played the piano beautifully. – And number one went to Celia, a second grader who sang , The Battle Is Not Ours, like an angel. 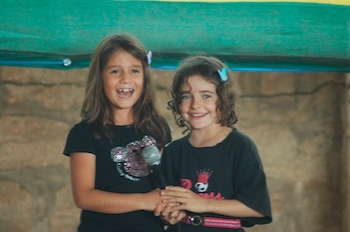 And lets not forget my amazing MC’s they were prepared, and enthusiastic the whole show. There were a few tears at the end for those who did not win, but overall they loved it and they got a all got a chu chu (otter pop like treat). Overall, the event went so well and I was so proud of them. They ven got a great compliment from the principal who has been at HOPAC for many years that it was possibly the best talent show she had seen at HOPAC. Way to go STUCO! These dolls sang hit me baby one more time. The end of the school year has finally come. Throughout most of my life, the end of the school year always seemed to come so quickly, this year this was not the case. Coming from Arizona, I am used to school getting out mid-May and having a full at least 2 and a half months off of school. Being at HOPAC, I have learned that the Brits do not have this long of a summer and therefore the school year did not end until the end of June. I think this would not have been as much of an issue for me if the last few weeks were filled with exams, grades and things that seemed worthy of being in school still. This however, was not the case. The last few weeks were filled with sports days, swim galas, talent shows, movie watching, and many more filler days. My students graduated a week and a half before school ended, which made my job as a teacher seem quite impossible, what was I supposed to carry on with after I had already said congratulations and given them certificates. Most of the secondary school, also had finished their exams and were doing the same thing, stalling until the last day. Maybe it is just my naive American education perspective that made me think this time was a bit of a drag but was it really necessary? Now, don’t get me wrong, I did soak up the extra days with my students who I love so much, and we played lots of games and had great times, and for that I was very thankful. The end of the year has come and gone. I am so grateful for HOPAC and the year that we have had. I am most thankful for my students and their families, and all we have learned together this year. IT Guru's celebrating the last day! Getting ready to compete in the swim gala. The little's swimming across the pool. The time has come for school to end. As I think back at the past year and the students who walked in my door the first day of school, I am amazed at the transformation that has been made. My students have matured so much in so many ways. They have gone from little boys and girls to young men and women. 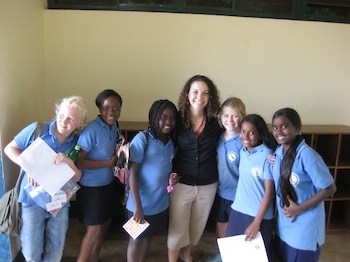 They have been stretched academically, spiritually, and physically. 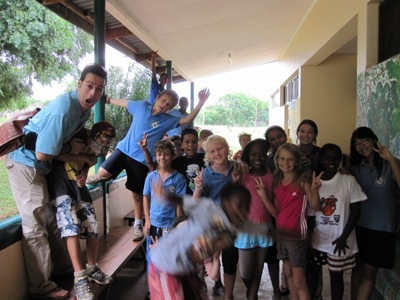 They have cried and laughed, worked hard and had fun. It has been such a blessing to get to know these students so well. We have had so much fun together exploring and learning, and becoming great friends. On their primary graduation day, all of their parents came to celebrate and it was a celebration in deed. They did so well performing at their assembly about the past, present and future time at HOPAC. For the past, they reminisced about their days in Kindergarten with lots of candy and naps. 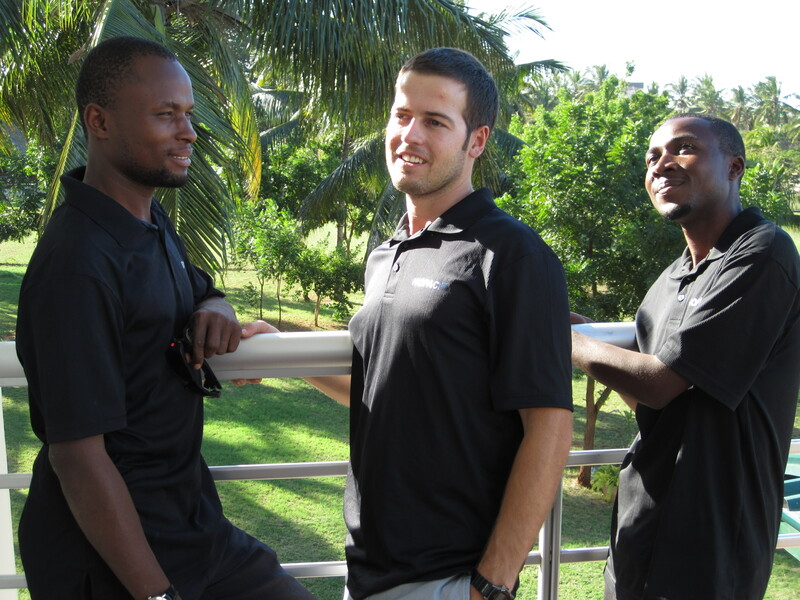 For the present, they remembered our unit in Romans and our time in the Amani Rain forest. Looking in to the future the girls saw themselves with great jobs reconnecting at a reunion, while the boys were soccer stars for Man U and AC Milan. They sang King of Majesty, which I thought was so fitting for them as a class. I pray that throughout their lives that Jesus will be their King of Majesty. 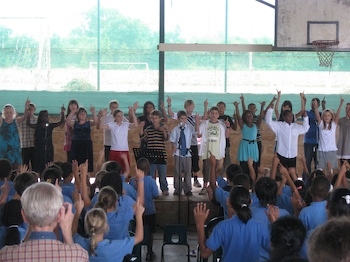 They said goodbye to Miss Apa, Cheryl’s Aid for the past two years, and sang her a song in Swahili. Their parents joined in prayer for them about their adventures in secondary. I have so much to say about them but maybe I will save that for another post. For now, I simply want to wish them the very best in their coming years whether they are at HOPAC, in Finland, or in Denmark or around the world. I pray the Lord’s blessings and guidance in their lives always. Congratulations my dear students! I will miss our times together greatly! Crazy…. Daring…. Brave…. These are just a few of the words that people used to describe Austin and I as we willingly decided to invite all of my students to a fifth grade sleepover at our house. I had promised them the whole year that we would have an end of the year party and so I made sure to deliver. Of course they were full of questions and could not wait for it. Some of the questions were hilarious, for example ” What time are we going to go to bed?” Apparently this student of mine has not been to many sleepovers. “Can I bring 2 suitcases?” It is only for 1 night kids I don’t want to even see 1 case, bring a backpack. Inevitably, one of the girls brought one. 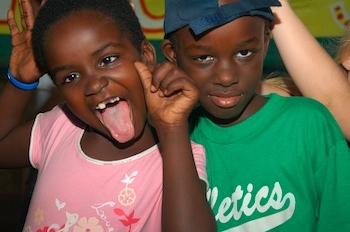 “Is there going to be Air Conditioning?” Most of my kids have lived in Africa their whole life, but this question proves that they are not kids that come from the average Tanzanian family. Yes, we have an AC unit in our bedroom. No, it will not be used for you all, all night. Silly kids. Ha ha. Anyways, the big day finally came. I was amazed at all of the stuff they brought to spend 1 night my house! 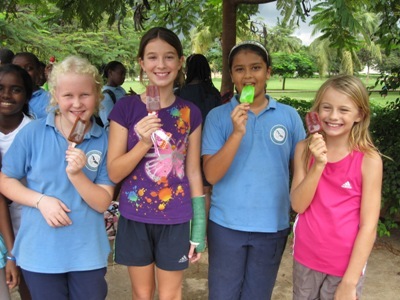 We began with a group picture and a delicious ice cream treat from the Azam ice cream man who makes bank off of the kids leaving school each day. We then got into our play clothes and went to play some field games. At this time a large storm rolled in, one would think this would ruin the games, however we played right through it. 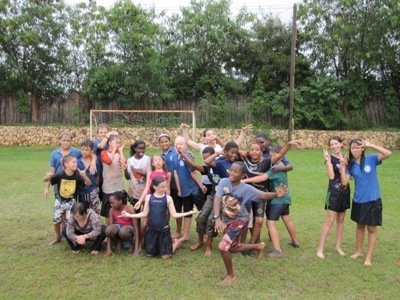 We played steal the bacon, relay races, soccer and much more soaked and covered in grass, dirt, and mud. They had so much fun! Group Photo before the madness. I Sream You Scream we all Scream for ICE CREAM! The rain finally let up and we sent them to the pool showers to rinse off. 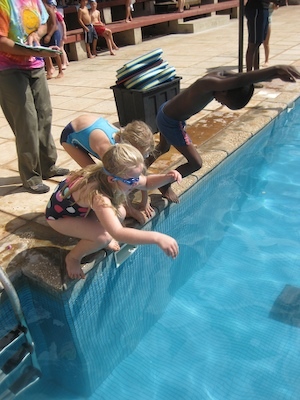 After rinsing off we had pool time with Marco polo, sharks and minnows and my favorite the belly flop contest. Then it was time to head home for dinner. We had to cross a very dangerous street, no crosswalk of course, to get to our house which was what I was most nervous for but thankfully we all made it! We set up the movie projector in our old empty house where the boys were sleeping and the girls left their stuff in our current house. The kids were all hungry and so we ate. I had their parents each bring something to save me the time and it really worked out great! 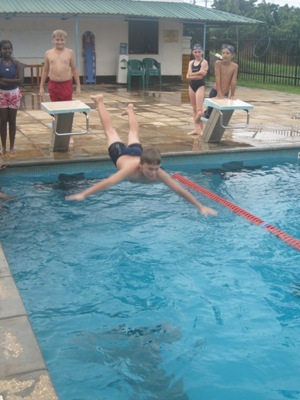 After watching Evan Almighty, playing charades, and capture the flag, we went back to school to participate in the school’s first ever Swim Marathon. 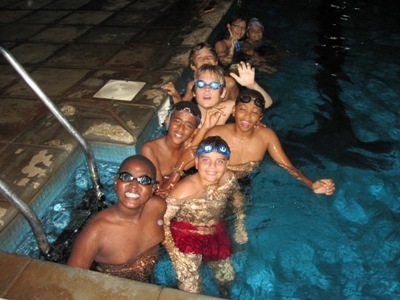 Austin and I had signed up for this some time ago but the only night we could do the sleepover was the same night so we brought them along and they swam too. We had the 10pm and 11pm shifts so while we each swam for an hour the kids took turns in the lane next to it. They were more excited about it than the secondary swimmers which was fun, except of course my students who fell asleep on the stadium benches. Swimming at the Swim Marathon. At midnight we walked back. We then watched Star Wars and most of them started to get tired. I took the girls back (3:45am ish) and quickly fell asleep. I was not meant to get no sleep. Unfortunately the kids left the door open and the mosquito’s were swarming! I had 11 bites on my neck alone in the morning. 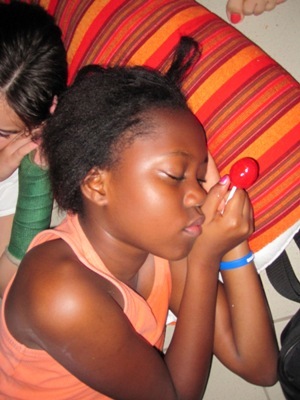 Girls had fallen asleep with Lollipops in their mouths and many stayed awake all night. The boys did stay awake all night. Poor Austin. They were putting toothpaste on everyone’s faces, and playing sardines and hide and go seek. They wanted to leave the house to play outside at 5am but we held them off until 7am for the sake of the neighbors. My favorite picture of the night. I woke up at 6 and prepared the breakfast. They were all exhausted but trying to use the bit of energy they still had. We had them clean up the now destroyed house (good thing there was no furniture) and pack up. Mom’s and Dad’s came at 9am and Austin and I went to bed as soon as they all were gone. We too were exhausted but the kids had a great time and I know it will be something the remember forever. I would do it again in a heartbeat. I sure am going to miss these kids!